Nature photo: An adult tick expands as it feeds. I mean, really expands. As I have noted before, research indicates that mowing your yard every other week instead of every week can help native pollinators and bees. But I also noted that this goes against advice to reduce tick populations in your yard, because ticks like longer grass because it shields them from the sun. Or do they? New research on some yards in Springfield, Mass., found that every-other-week mowing did not increase the number of Lyme disease-carrying ticks. As part of a study to evaluate whether less frequent lawn mowing in residential lawns in Springfield, Mass., could promote floral resources and hence, serve as viable habitat for native bees, Susannah Lerman, a research ecologist with the USDA Forest Service’s Northern Research Station. and her partners surveyed for blacklegged ticks (Ixodes scapularis, also known as deer ticks) as well as bees every three weeks. In 16 suburban Springfield lawns over the course of two summers, Lerman and colleagues documented 111 bee species, which equates to roughly one-quarter of all bees documented in Massachusetts. 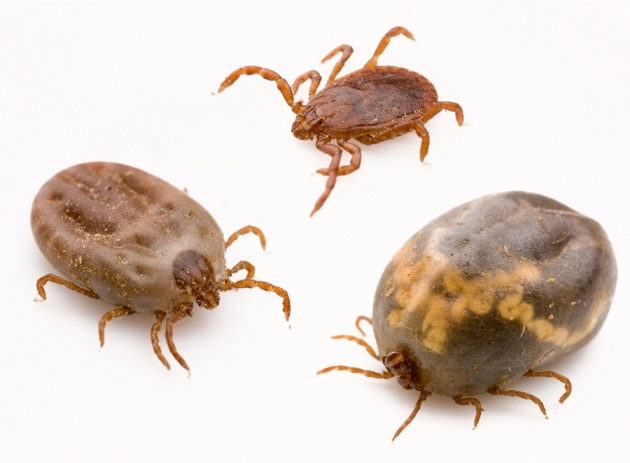 As for blacklegged ticks? In 144 tick drags in lawns of various lawn mowing frequencies and grass heights, Lerman and her colleagues found not a single one. The story (read it here) notes that this was a limited study but it’s still surprising, and hopeful.